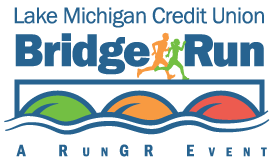 The 2017 Lake Michigan Credit Union Bridge Run took over the historic streets, iconic bridges and celebrated neighborhoods of downtown Grand Rapids on Sunday, September 17. A new record was set, with a total of 2,476 participants signed up to run, walk or jog this popular event. Thanks to all the motivated LMCU members who joined us for this annual celebration of healthy lifestyles!